The medical specialists at Cayuga ENT are Otolaryngologists, trained to diagnose and treat medical and surgical disorders of the ear, nose and throat. Our mission is to provide the highest quality otolaryngic care available. Cayuga ENT-Head & Neck Surgery has on staff, a NYS licensed Audiologist for diagnostic hearing evalutions. We specialize in common diseases that afflict young and old. We are trained to offer both medical and surgical management of these disorders. 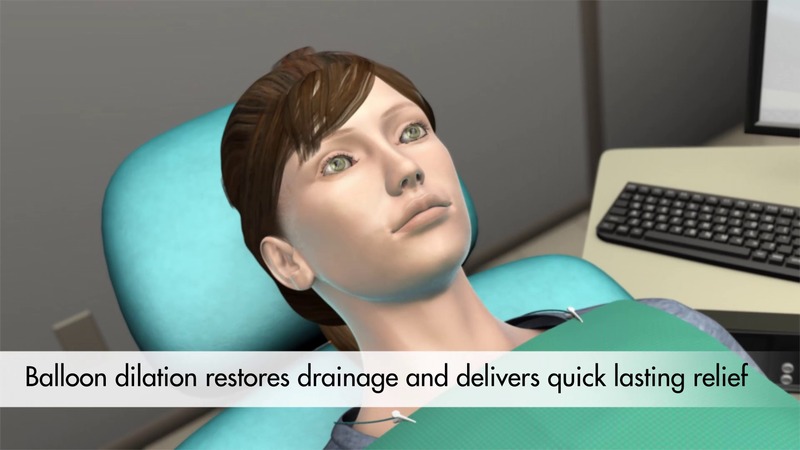 We also treat and perform surgery for head and neck. If you are concerned by any of these issues or symptoms, please call our receptionist and schedule an appointment with one of our specialists. A Minimally Invasive Procedure Designed To Reverse The Cycle Of Chronic Or Recurrent Sinusitis. Balloon Sinus Dilation (also known as Balloon Sinuplasty) is a minimally invasive treatment for chronic or recurrent sinusitis. 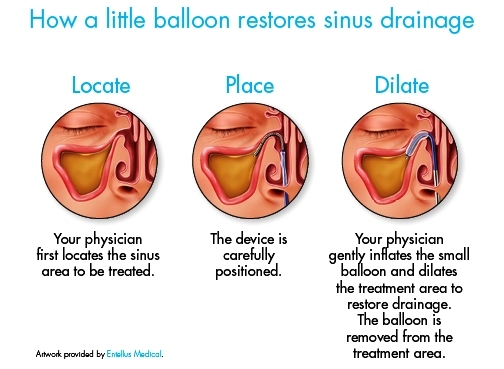 In a balloon sinus dilation procedure, your physician uses a small balloon to dilate or expand the sinus opening and drainage pathways to restore sinus drainage. Learn more about balloon sinus dilation frequently asked questions.